Need the perfect lightweight Rain Jacket? 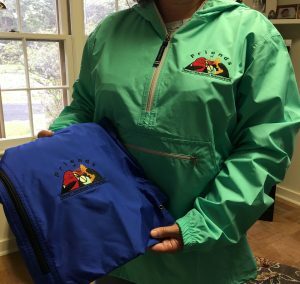 Get your pack and go Friends Logo jacket. All proceeds support Hawai’i Volcanoes National Park Project & Programs. Join us on Sunday, December 16, 2018 at Hawai’i Volcanoes National Park’s Kahuku unit. We will have all of our logo wear for sale at the all day Holiday Craft Fair.